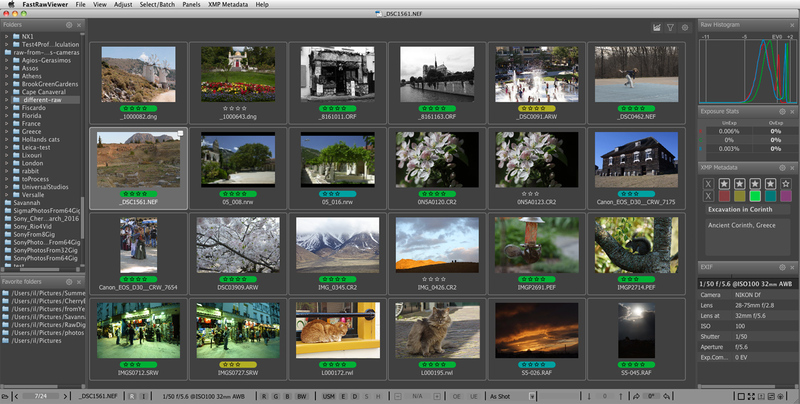 FastRawViewer supports almost all* digital cameras and devices capable of recording RAW files, including dSLRs, mirrorless, compact, medium format cameras and digital backs, industrial cameras, mobile devices and scanners, digital cinema bodies and cameras, etc. FastRawViewer also supports cameras modified to record RAW files (CHDK, DIAG) and cameras with custom firmware (Magic Lantern). For a detailed list please see the Full List of Supported Cameras. We add support for new cameras rapidly (usually, within a couple of weeks) after RAW samples from those cameras become available. We work hard to ensure timely support for fast viewing, culling, and analysis of RAW images recorded in emerging formats and format variants, such as Nikon small RAW (sRAW), Fujifilm compressed RAW, multi-shot RAW. If you have RAW files from digital cameras or devices which FastRawViewer can't open properly, please, send us an email and provide us with sample files. We never share any image files sent to us.